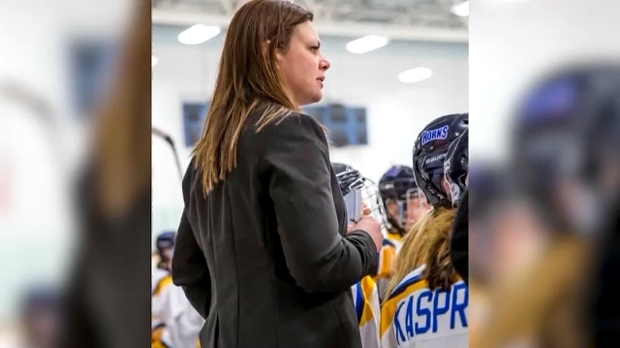 The University of Lethbridge Pronghorns women’s hockey program is without a head coach after the school cut ties with Michelle Janus Tuesday afternoon. Janus’ departure was announced Tuesday in a brief statement released by Pronghorn Athletics and Recreation that did not disclose the reason for the move. The following is the statement in its entirety. On Tuesday, members of the team staged a walkout ahead of their skate scheduled for 3:00 p.m. to demonstrate their frustrations with the current state of the team. The boycott was expected to remain in place until Janus was fired. In the fall of 2018, the University ordered Janus to undergo counselling and training after the school found the coach to be in violation of its harassment policy. Several players had come forward with allegations that they had been harassed, bullied, threatened and intimidated by Janus and claimed the coach’s actions caused physical, psychological and emotional harm. Members of the team called for Janus’ dismissal and, when their requests were not honoured, a million dollar lawsuit was filed by four of the players against the U of L, its athletic director and Janus. The allegations against Janus have not been proven in court.